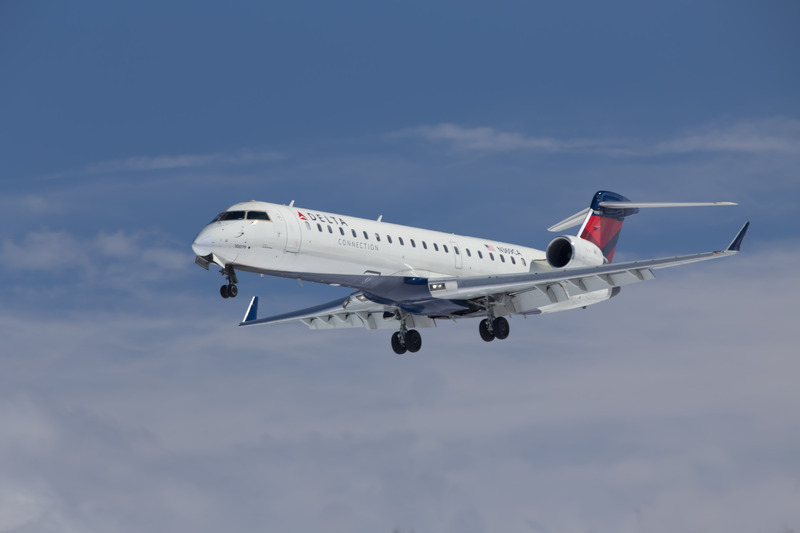 A Delta Connection CRJ 700 on final viewed from the parking area by C&L Aerospace. The back entrance gate by the Maine Air Museum gives a good view of planes arriving on 33 as well as those taxiing up to, and departing on 33. If you’re lucky, you can score a pound of fiddle heads here in the spring for about $3 a pound. If you are coming from the terminal on the Odlin Rd, as you go around the runway, you will bear to the right just before the Ground Round Restaurant. The small parking area on the left going up the road to C&L Aerospace provides you with great views of aircraft on short final to 33. Views of departures here are nonexistent. The best place by the terminal is the side entrance gate between the International Arrivals terminal and the hangars that will soon become C&L Aerospace’s new home. This area gives you a good view of any of the troop charters that come in(Omni Air, North American and on rare occasion, Delta) as well as anything that might be parked to the right for an overnight stay. Usually anything from an A319 business jet to an Antonov AN-225. 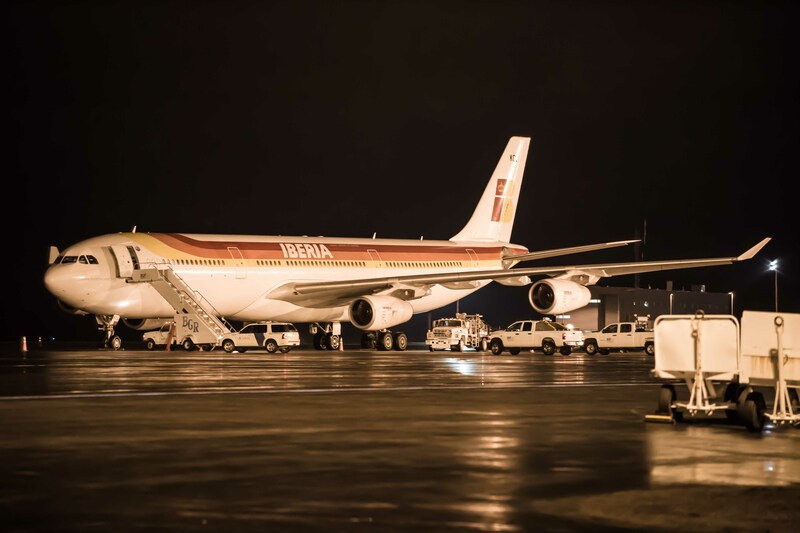 An Iberian Airbus A340 stopping over for the night in Bangor en route to the bone yard in Phoenix. On the opposite side of the field, is Hildreth St North. (good views of arrivals on 15 and departures from 33). To get there proceed out from the airport and take the first right in the roundabout to follow Maine Ave towards Odlin Rd. Continue through the light at the Hammond/Odlin intersection and at the Ramada Inn bear right to Outer Hammond St. Continue out Hammond St until you come to the Hildreth North Business Park. Take a right onto Hildreth St North and follow it out until you come to the fence by the field. Drive slowly as the road has pot holes that could swallow a car.